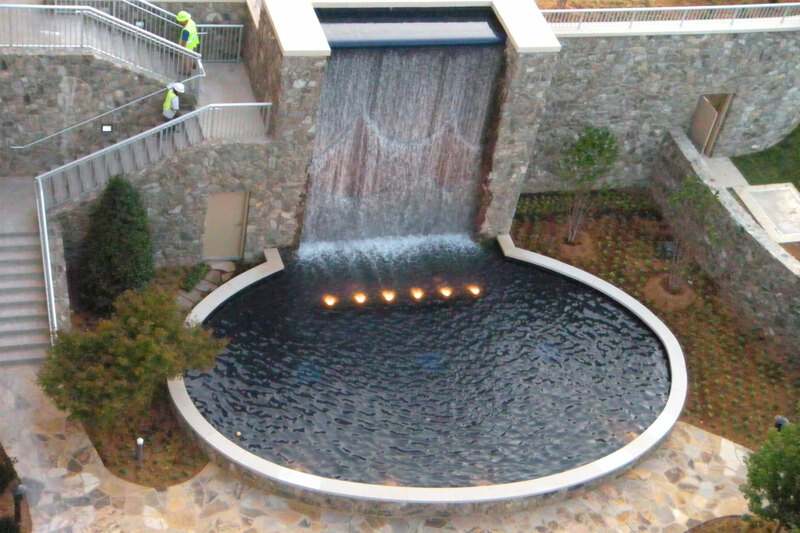 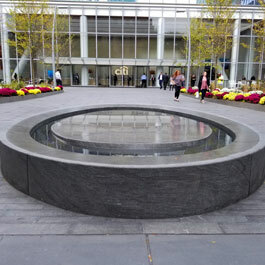 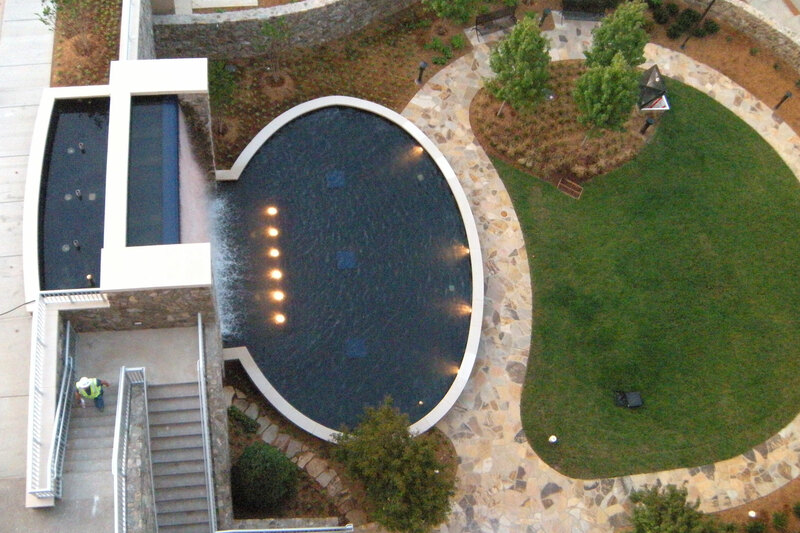 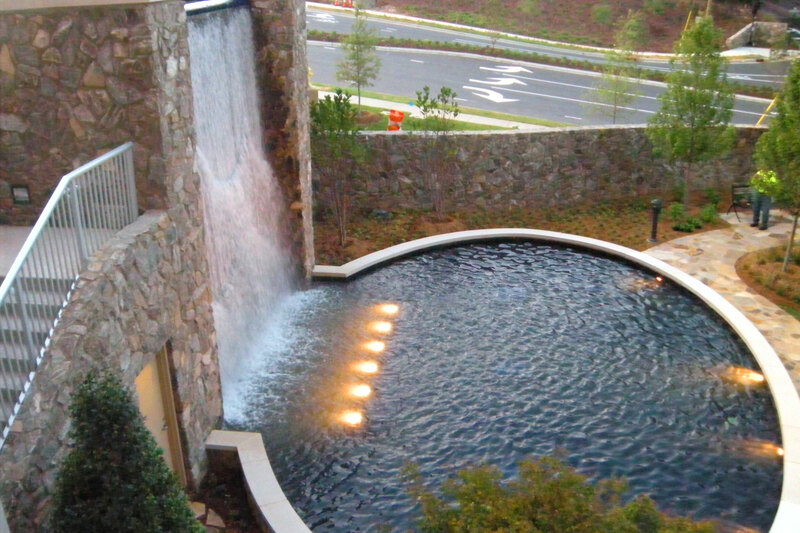 The water wall sits over two stories and falls into the sunk-in courtyard. 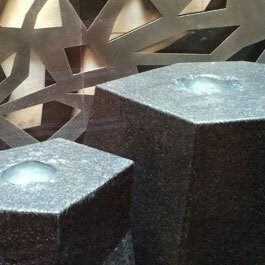 The textured water wall was created for it's acoustic and visual benefits to the patients and visitors. 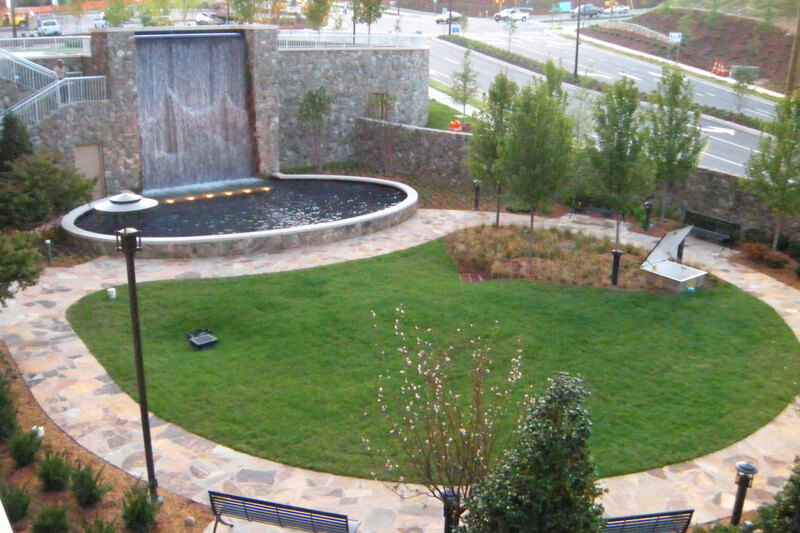 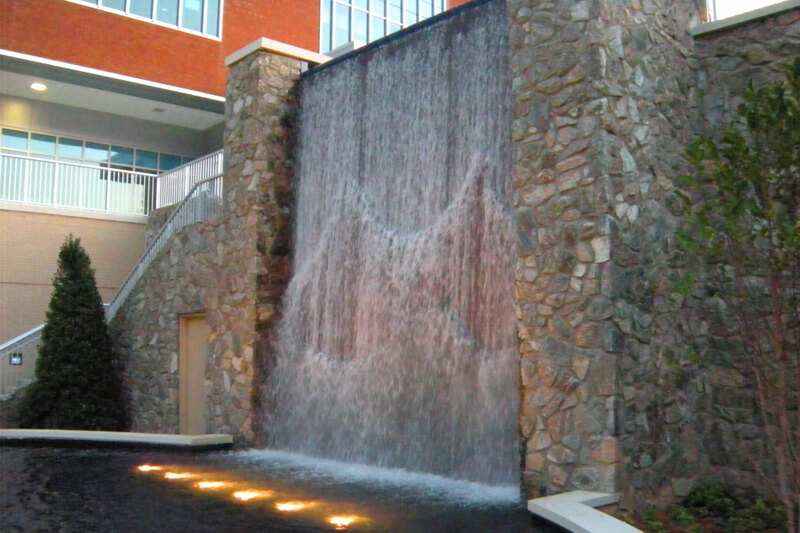 The textured, stone water wall at Mission Health Hospital in Asheville, NC sits in the hospital’s garden courtyard. 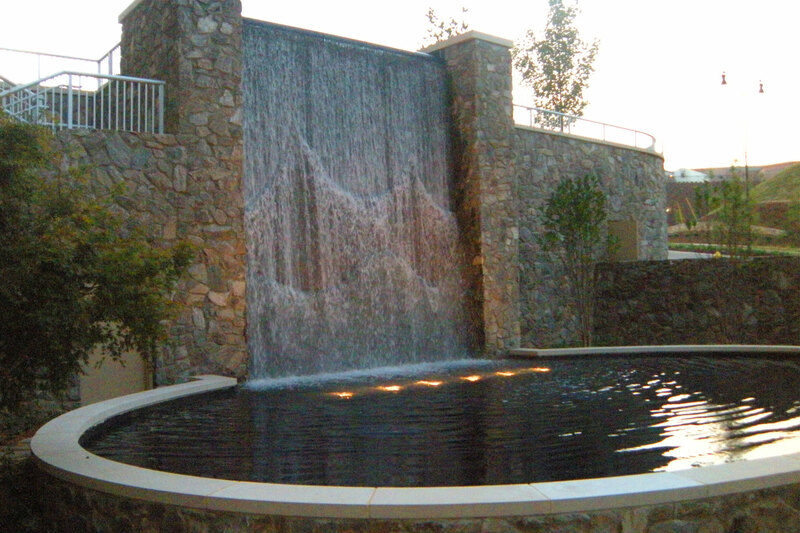 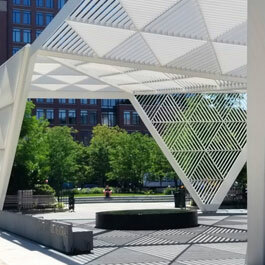 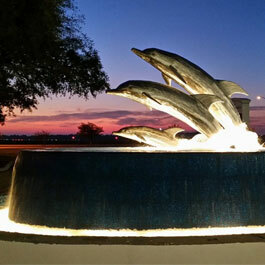 Delta Fountains helped create the water wall and provided the equipment.